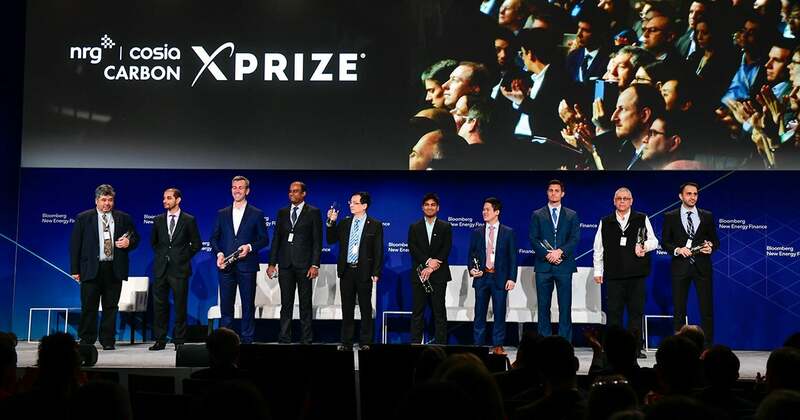 NEW YORK (April 9, 2018) — XPRIZE, the world’s leader in designing and managing incentive competitions to solve humanity’s grand challenges, today announced the 10 teams advancing to the final round in the $20M NRG COSIA Carbon XPRIZE. 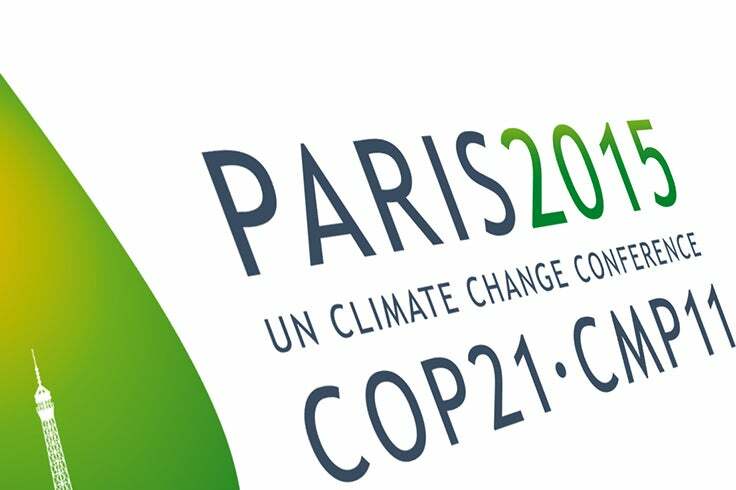 This four-and-a-half-year global competition challenges teams to transform the way the world addresses carbon dioxide (CO2) emissions through breakthrough circular carbon technologies that convert carbon dioxide emissions from power plants into valuable products. The 10 finalists, each taking home an equal share of a $5 million milestone prize, were revealed today at Bloomberg New Energy Finance’s Future of Energy Summit in New York City. Ranging from carbon capture entrepreneurs and start-ups to academic institutions and companies that have been tackling the challenge for more than a decade, the finalists hail from five countries and have already demonstrated conversion of CO2 into a wide variety of products, such as enhanced concrete, liquid fuels, plastics and carbon fiber. The universe of potential CO2-based products crosses a variety of energy sectors, industrial processes and consumer products. Each finalist team passed a first round evaluation based on the amount of CO2 converted into products, as well as the economic value, market size and CO2 uptake potential of those products. Breathe (Bangalore, India) – Led by Dr. Sebastian Peter, the team is producing methanol, a common fuel and petrochemical feedstock, using a novel catalyst. C4X (Suzhou, China) – Led by Dr. Wayne Song and Dr. Yuehui Li, the team is producing chemicals and bio-composite foamed plastics. Carbon Capture Machine (Aberdeen, Scotland) – Led by Dr. Mohammed Imbabi, the team is producing solid carbonates with applications to building materials. CarbonCure (Dartmouth, Canada) – Led by Jennifer Wagner, the team is producing stronger, greener concrete. Carbon Upcycling UCLA (Los Angeles, CA, USA) – Led by Dr. Gaurav Sant, the team is producing building materials that absorb CO2 during the production process to replace concrete. C2CNT (Ashburn, VA, USA) – Led by Dr. Stuart Licht, the team is producing carbon nanotubes. Carbicrete (Montreal, Canada) – Led by Dr. Mehrdad Mahoutian, the team is producing cement-free, carbon-negative concrete that uses waste from steel production as an alternative to traditional cement. Carbon Upcycling Technologies (Calgary, Canada) – Led by Apoorv Sinha, the team is producing enhanced graphitic nanoparticles and graphene derivatives with applications in polymers, concrete, epoxies, batteries and pharmaceuticals. CERT (Toronto, Canada) – Led by Dr. Alex Ip of the Sargent Group at the University of Toronto, the team is producing building blocks of industrial chemicals. Newlight (Huntington Beach, CA, USA) – Led by Mark Herrema, the team uses biological systems to produce bioplastics. To win a place in the finals, the semifinalist teams had to demonstrate their technologies at pilot scale at a location of their choosing. 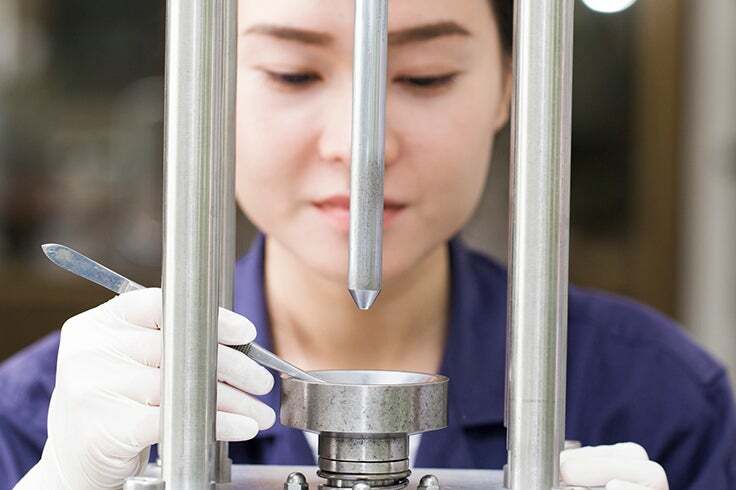 Over the course of a 10-month period, semifinalist teams were challenged to meet minimum technical requirements and were first audited by independent verification partner Southern Research. Teams were then evaluated by the judges based on how much CO2 the team converted into products; the economic value, market size, and CO2 uptake potential of those products; the overall CO2 footprint of their process; as well as energy efficiency, materials use, land use, and water use. In the finals, teams must demonstrate at a scale that is at least 10 times greater than the semifinals requirements at one of two purpose-built industrial test sites. Teams competing in the Wyoming track will test their technologies at the Wyoming Integrated Test Center (ITC), a cutting-edge carbon research facility in Gillette, WY, USA, co-located with the Dry Fork Station coal power plant. Teams competing in the Alberta track will test their technologies at the Alberta Carbon Conversion Technology Centre, a new carbon conversion research hub co-located with the Shepard Energy Centre natural gas power plant in Calgary, Alberta, Canada. “We’re excited to support these teams as they scale up and start demonstrating under real-world conditions at the industrial test centers. This is the final, most ambitious stage of this prize competition,” added Extavour. The NRG COSIA Carbon XPRIZE is a part of XPRIZE’s growing portfolio of Energy and Resources prizes and long-term vision for accelerating revolutionary energy technologies to help move the world towards a clean, abundant energy future. For the latest information about the competition structure, important dates, and the finalist teams please visit carbon.xprize.org. XPRIZE, a 501(c)(3) nonprofit, is the global leader in designing and implementing innovative competition models to solve the world’s grandest challenges. XPRIZE utilizes a unique combination of gamification, crowd-sourcing, incentive prize theory and exponential technologies as a formula to make 10x (vs. 10%) impact in the grand challenge domains facing our world. XPRIZE’s philosophy is that—under the right circumstances—igniting rapid experimentation from a variety of diverse lenses is the most efficient and effective method to driving exponential impact and solutions to grand challenges. Active competitions include the Lunar XPRIZE, $20M NRG COSIA Carbon XPRIZE, the $15M Global Learning XPRIZE, the $10M ANA Avatar XPRIZE, the $7M Shell Ocean Discovery XPRIZE, the $7M Barbara Bush Foundation Adult Literacy XPRIZE, the $5M IBM Watson AI XPRIZE, the $1.75M Water Abundance XPRIZE and the $1M Anu and Naveen Jain Women’s Safety XPRIZE. For more information, visit www.xprize.org. NRG is the leading integrated power company in the U.S., built on the strength of our diverse competitive electric generation portfolio and leading retail electricity platform. 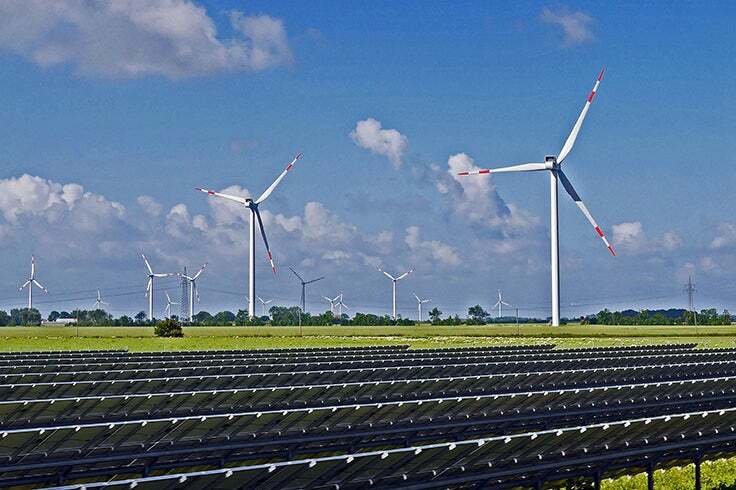 A Fortune 500 company, NRG creates value through best in class operations, reliable and efficient electric generation, and a retail platform serving residential and commercial businesses. Working with electricity customers, large and small, we implement sustainable solutions for producing and managing energy, developing smarter energy choices and delivering exceptional service as our retail electricity providers serve almost three million residential and commercial customers throughout the country. More information is available at www.nrg.com. Connect with NRG Energy on Facebook and follow us on Twitter @nrgenergy. Canada’s Oil Sands Innovation Alliance (COSIA) is a unique alliance of oil sands producers focused on accelerating environmental performance in Canada’s oil sands. COSIA enables collaboration and innovation between big thinkers from industry, government, academia and the wider public to improve measurement, accountability and performance in the oil sands across our environmental priority areas of greenhouse gases, land, water and tailings. COSIA members search the world for solutions to our toughest problems. And we have some of the best minds on the planet working on technologies to enable responsible and sustainable development. To date, COSIA has shared 981 distinct environmental technologies and innovations that cost over $1.4 billion to develop. Visit us at www.cosia.ca.